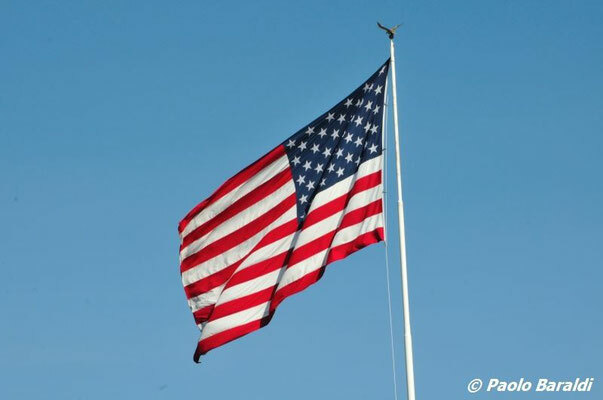 If you are willing and if you have the chance to face a trip to America, the KOH is not so difficult to follow. If you share the expenses with friends it's even easier! 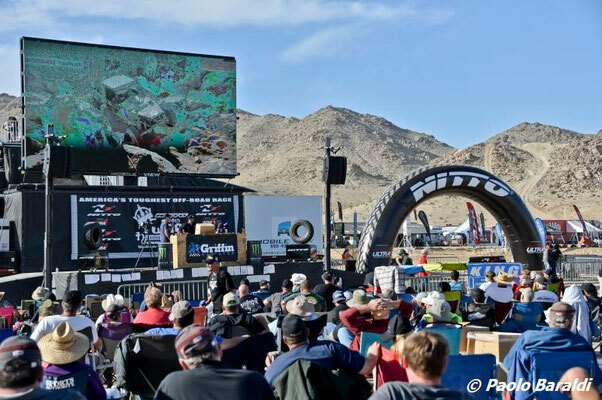 Here are some tips from Paolo Baraldi, an expert on this American race, on how to organize your trip. 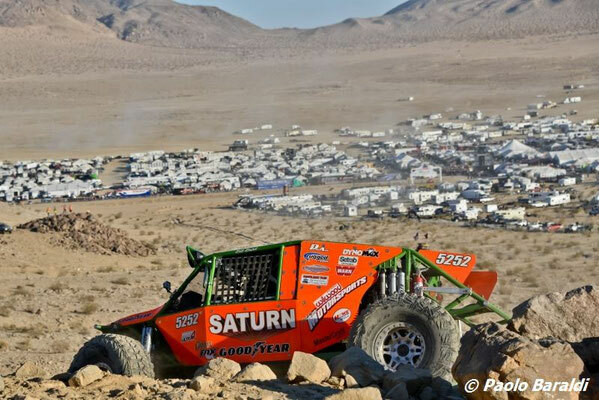 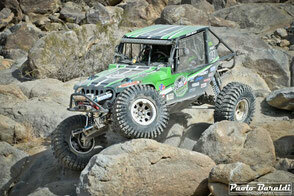 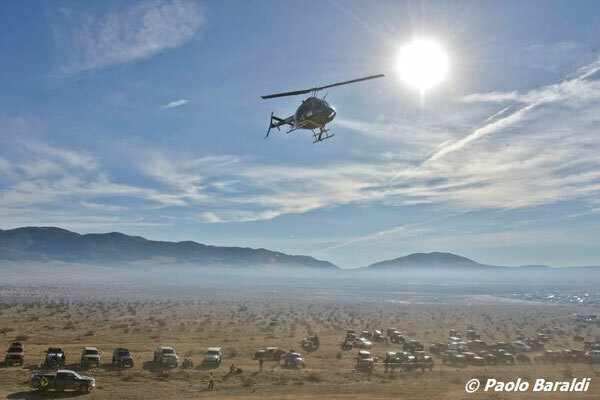 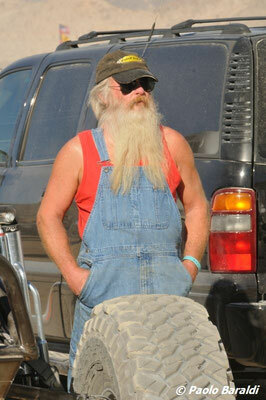 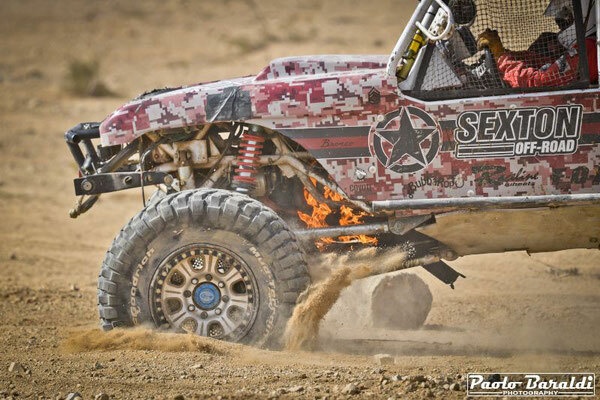 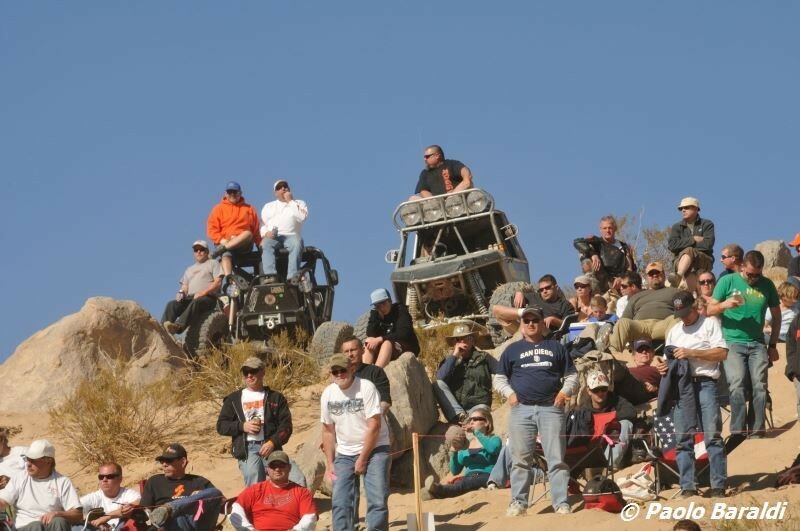 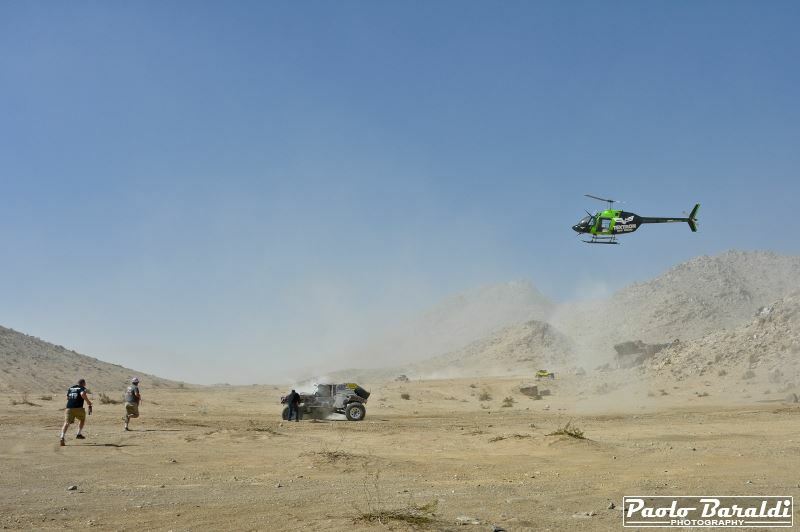 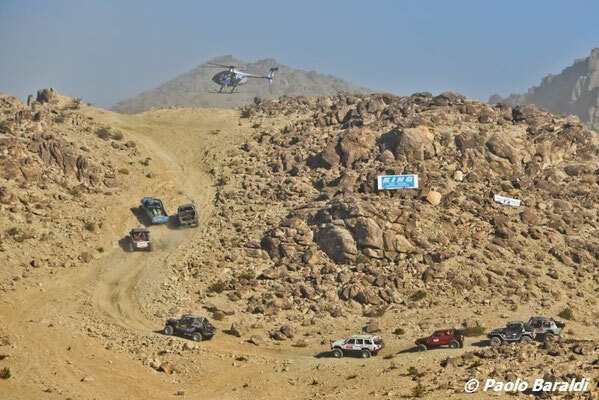 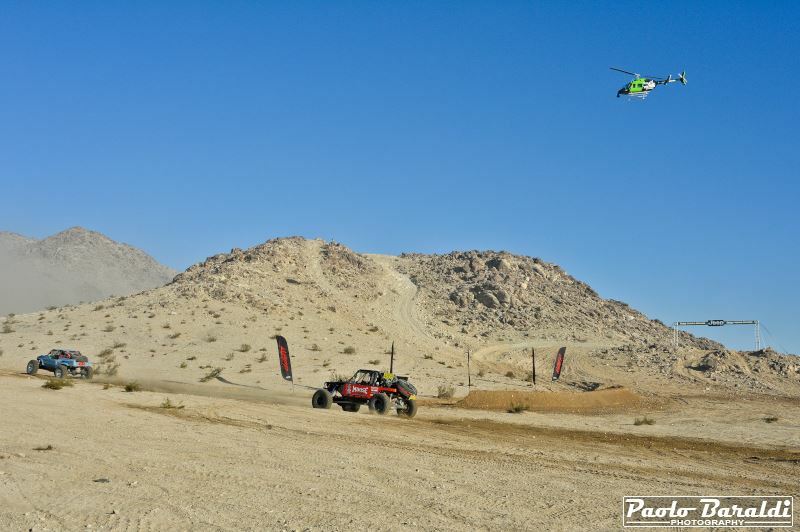 The King of the Hammers is one of the cult competitions and is the dream of many off-road enthusiasts. 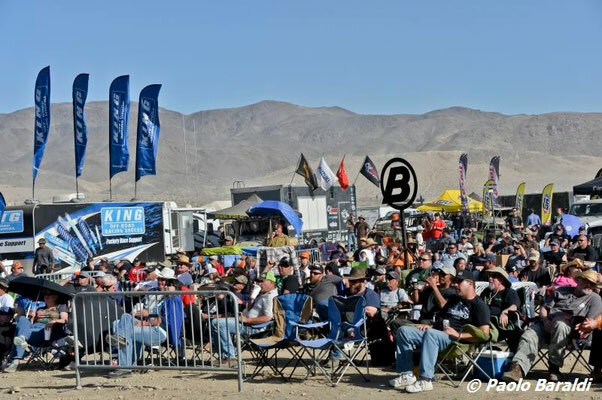 Despite being on the other side of the Atlantic Ocean and on the other side of the United States of America it is not so difficult to organize a trip to attend the KOH and why not, take the opportunity for a holiday in California and Nevada. 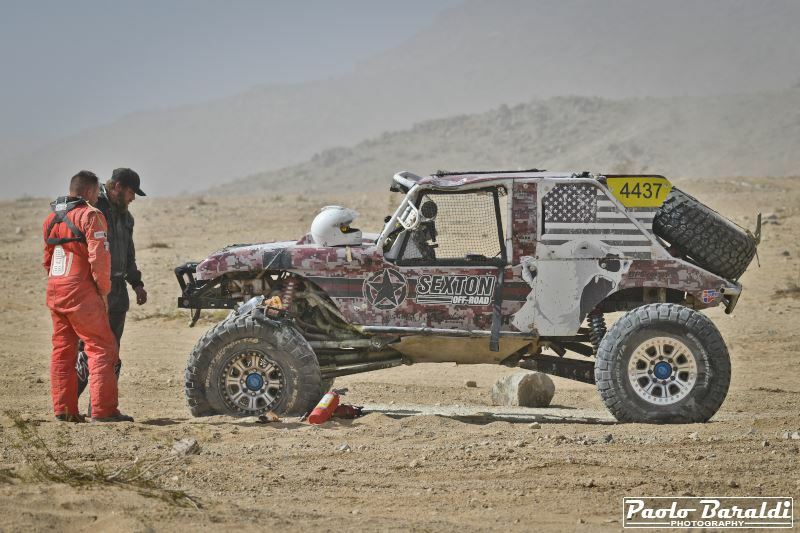 King of the Hammers, founded in 2007, takes place every year in the early days of February in the Johnson Valley within a deserted expanse historically home to a now-drained lake; this is the reason why the area where Hammertown stands is called Lakebed. Approximately 200 km from Los Angeles to the northeast is the Mojave Desert, which stretches for 38,000 square kilometers between the Sierra Nevada and the mountains that close the Los Angeles region to the Pacific. The Mojave to the south borders the sunniest desert of Sonora. 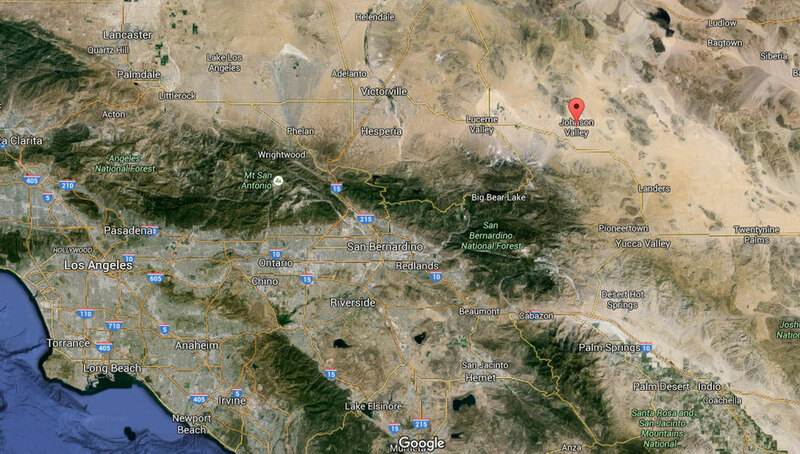 In this area there is the Edwards Military Air Base AFB, an alternative landing place in Cape Canaveral for the Shuttle returning from space missions (in polar orbit) and that at the time of the first supersonic flights of Captain Charles Elwood "Chuck" Yeager was called "Muroc Army Air Force Base". 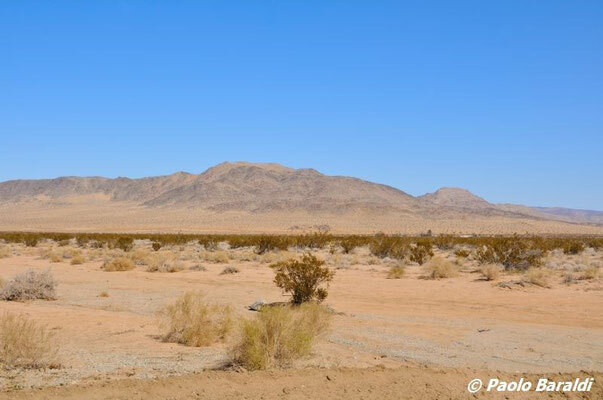 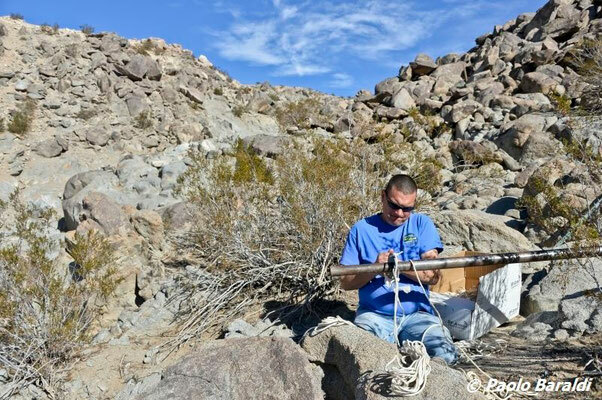 The Mojave is a plateau with numerous salty basins and with very little rainfall; despite the aridity of the area, it is estimated that between 1750 and 2000 plant species have managed to settle in this territory. 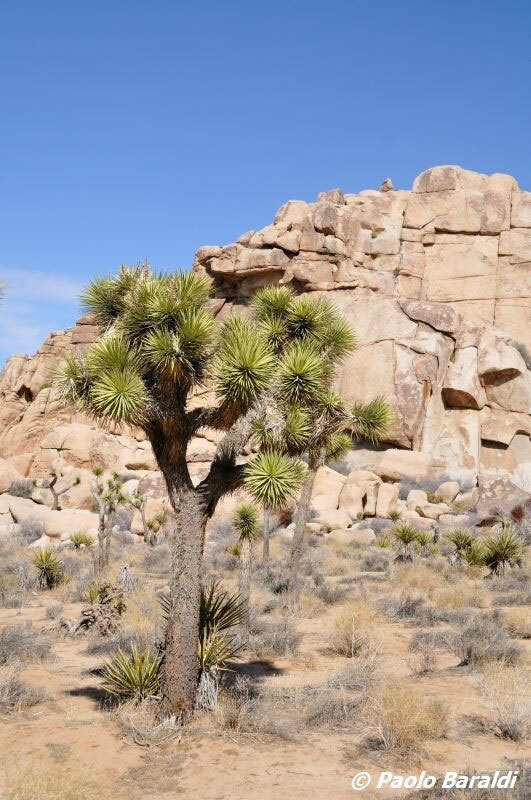 Among these there is certainly the Yucca Brevifolia known as Joshua Tree; the "Joshua tree" that was named by a group of Mormon settlers who crossed the Mojave Desert in the mid-nineteenth century. The particular shape of the tree reminded them of a Bible story in which Joshua raised his hands to heaven to pray. The farmers and miners who were with the Mormons obtained benefits from the Joshua Tree, using the trunks and branches as shelter and as fuel for the steam vehicles. 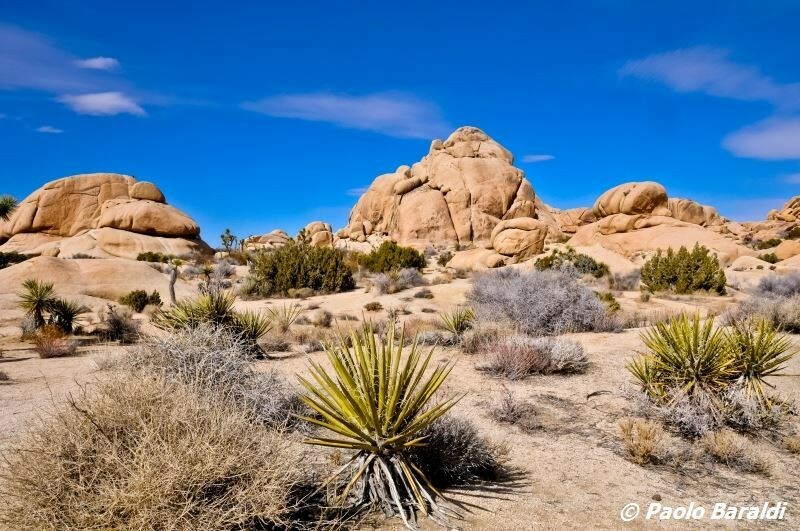 A large area of this territory, about 790.636 hectares, a slightly larger area than the state of Rhode Island, was declared a national park in 1994; previously the Joshua Tree National Park was considered a national monument of the United States since 1936. 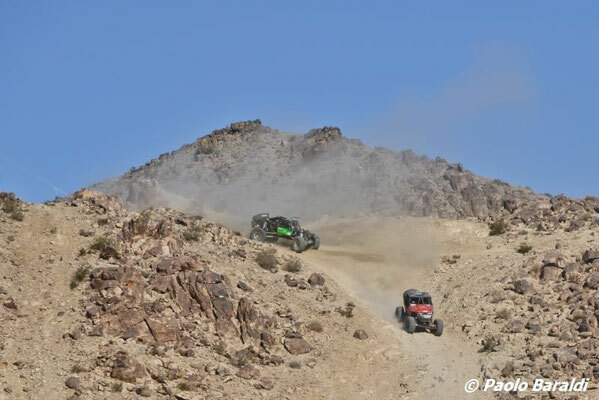 South of the State Road 247 in the Mojave Desert and north-west of the Yucca Valley, not far from the Joshua Tree Park, is the Johnson Valley, home the OHV area (off-highway vehicle) for recreational use with motorized vehicles. 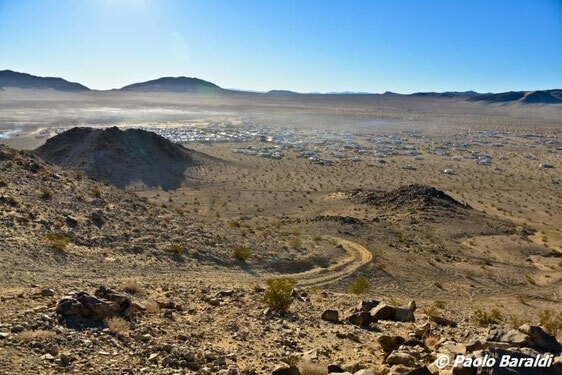 The legendary King of the Hammers is held here! 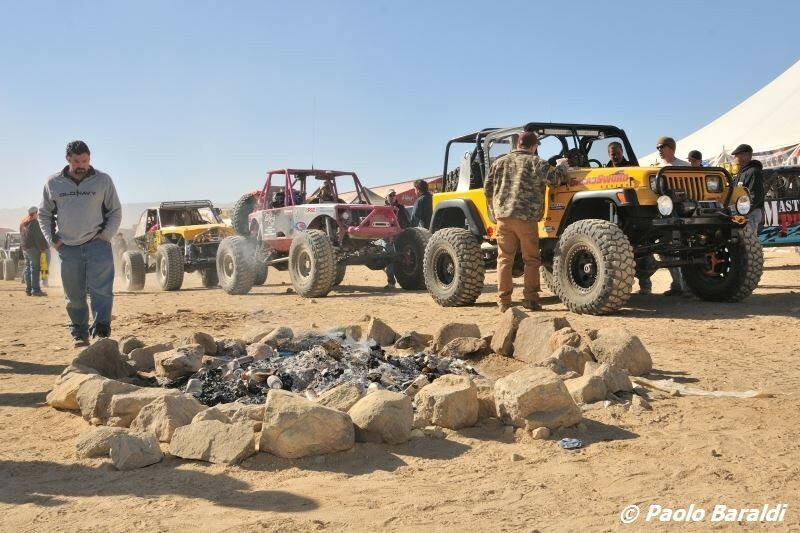 This area is however frequented for the whole year both by those who love to have fun in 4x4, in quad or motorbike but also by those who love trekking. 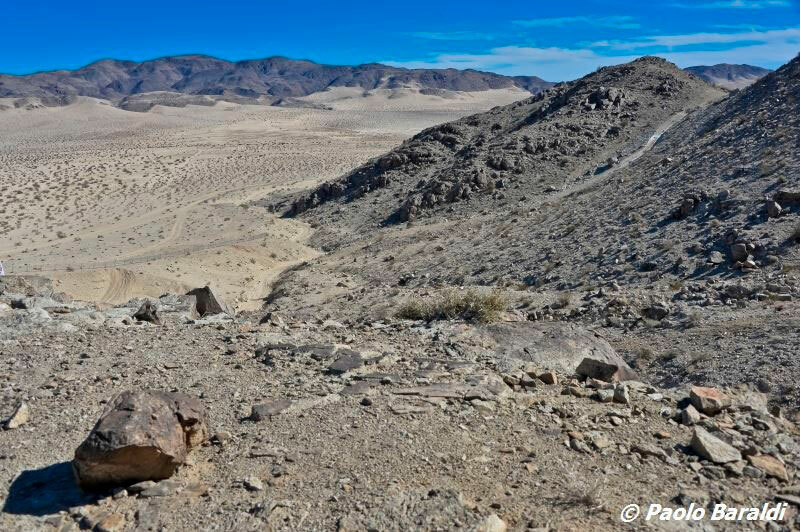 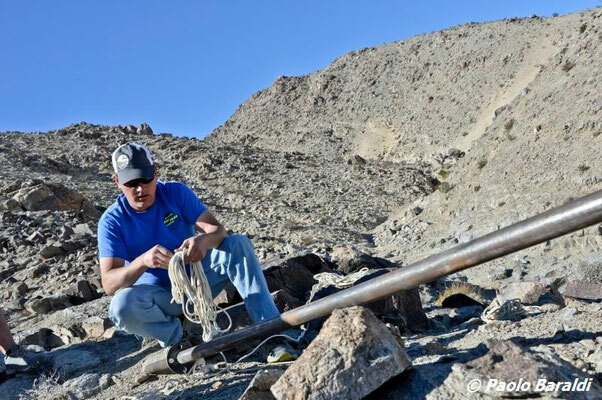 The Hammers, trails or trails that can be found in the Johnson Valley are very varied; you can go from steep, bright red rocky mountains to gentle hills, open valleys, sand dunes and immense basins of dry lakes. 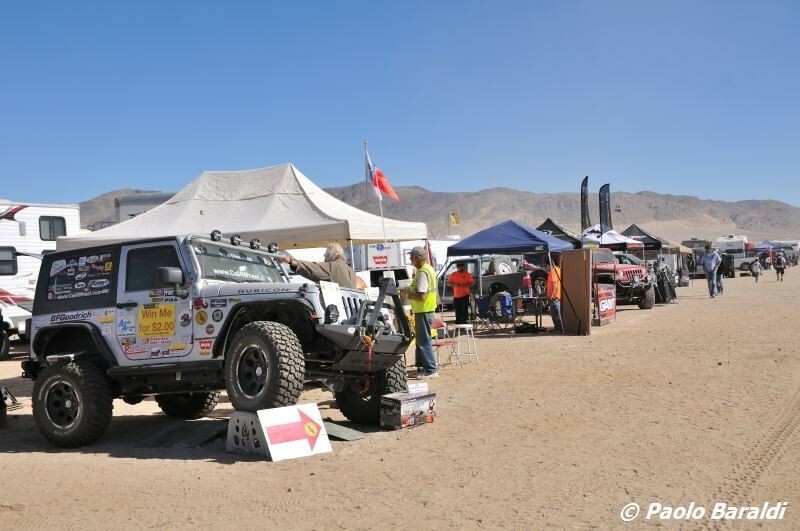 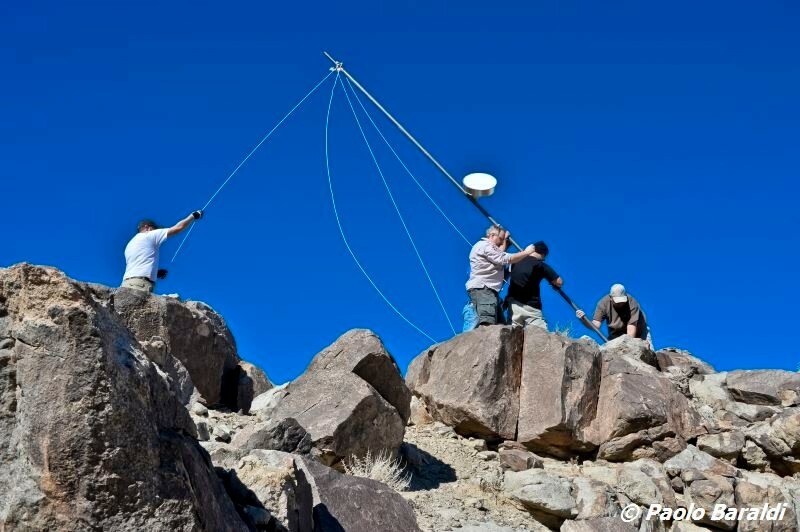 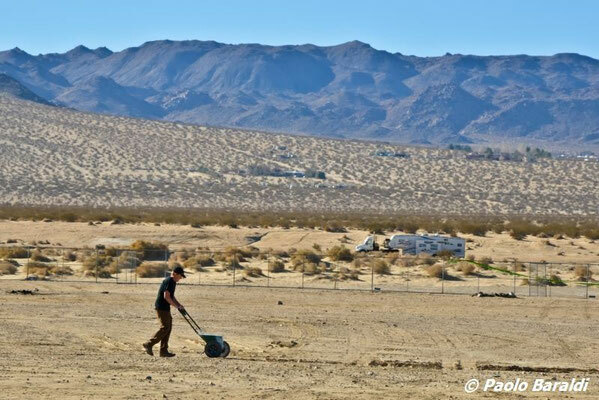 Most visitors take advantage of the numerous open spaces for camping and the Anderson Dry lake and Soggy Dry Lake basins are exploited to build the tracks of many competitions. 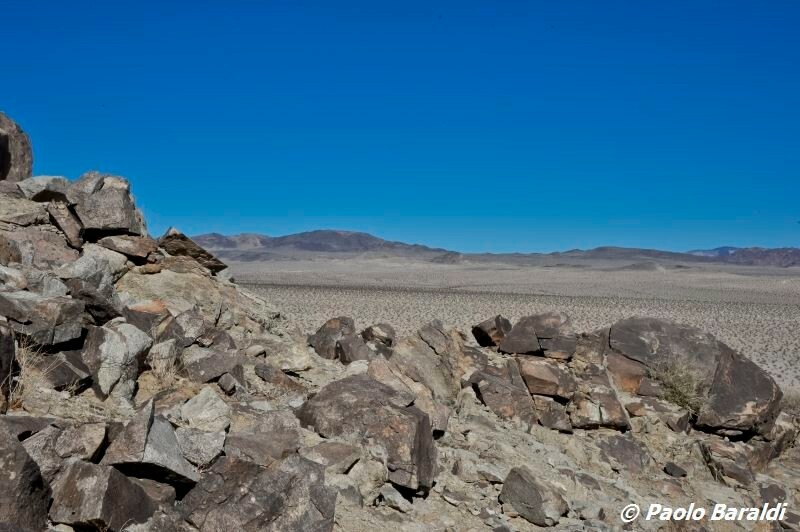 Some of these reservoirs were created by bomb tests during the Second World War; evidence that in some cases have redesigned the morphology of the landscape. 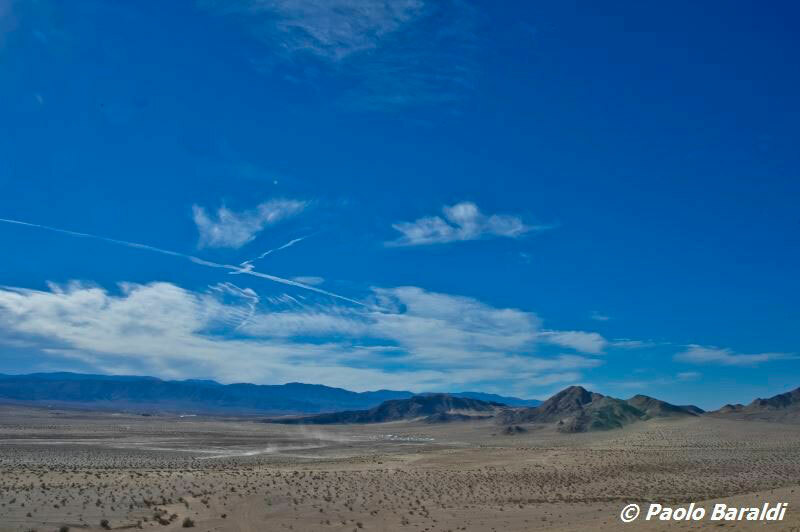 Bordering the Johnson Valley we find the Twentynine Palms Base which houses the Marine Corps Air Ground Combat Center. The base was created in 1952 and in 2000 became the Marine Air Ground Task Force Training Command. 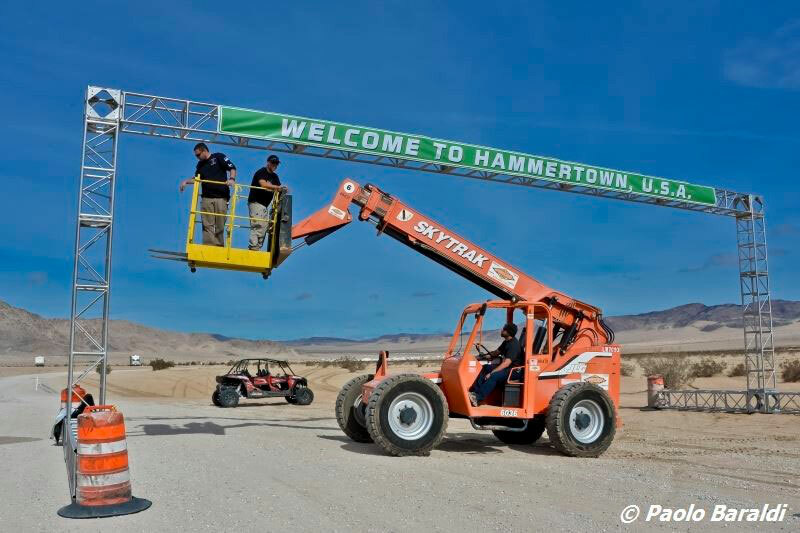 It is currently home to one of the largest military training areas in the United States. Here was established the program known as "Mojave Viper" for the formation of troops for Iraq Freedom. 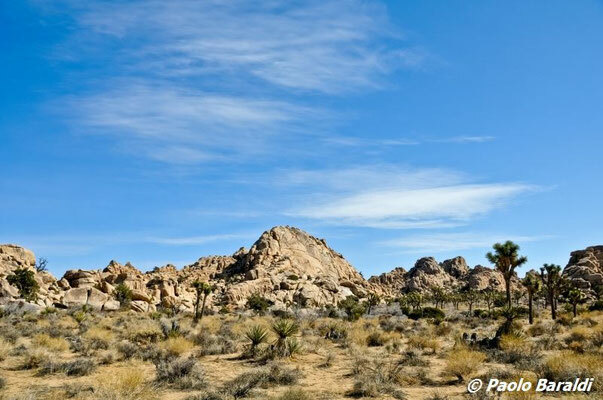 Not far from Yucca Valley is Palm Springs known as a holiday destination for California celebrities. 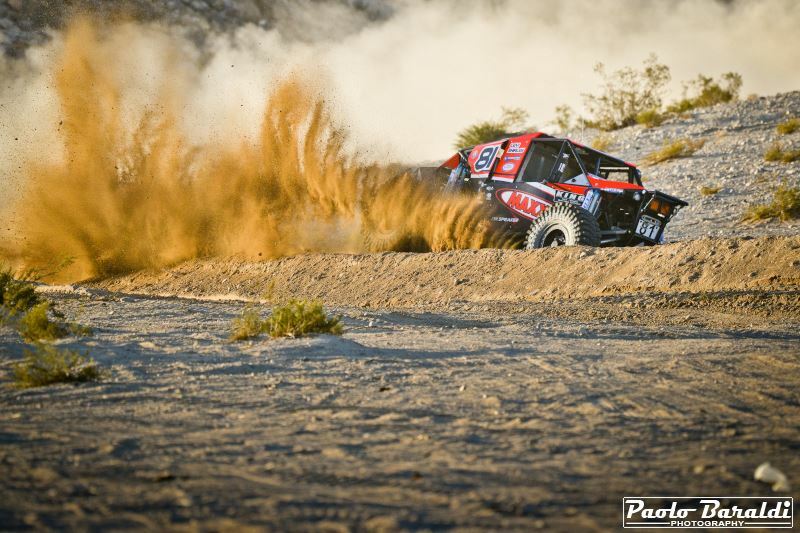 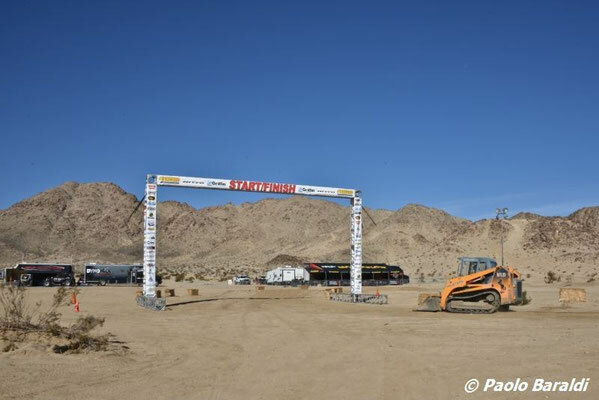 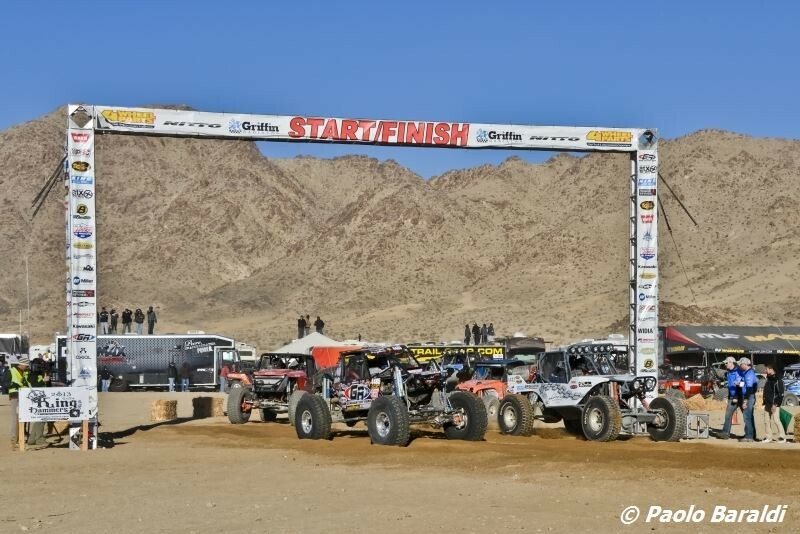 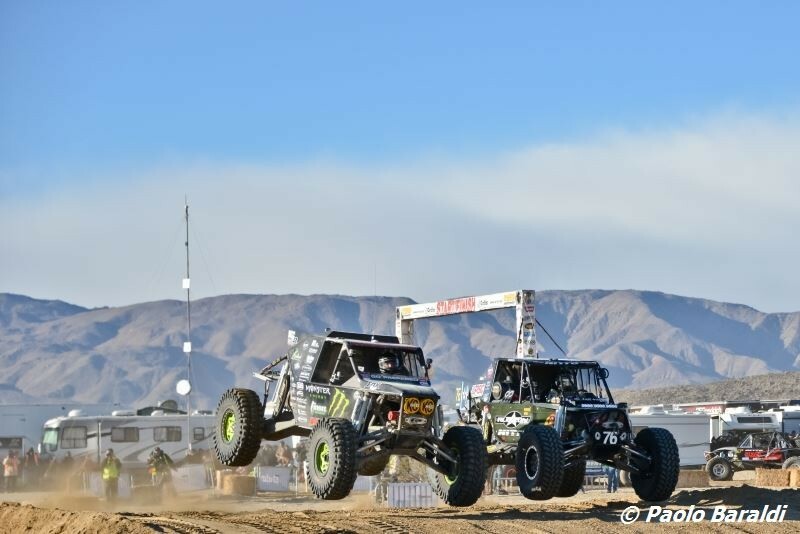 After this brief general smattering, we want to give you some indications that will certainly help you on your journey to follow the King of the Hammers 2019. 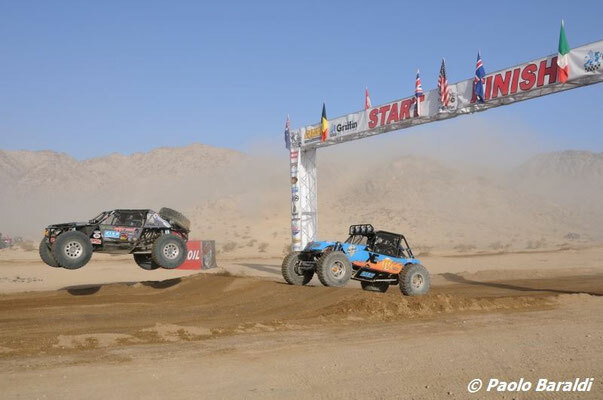 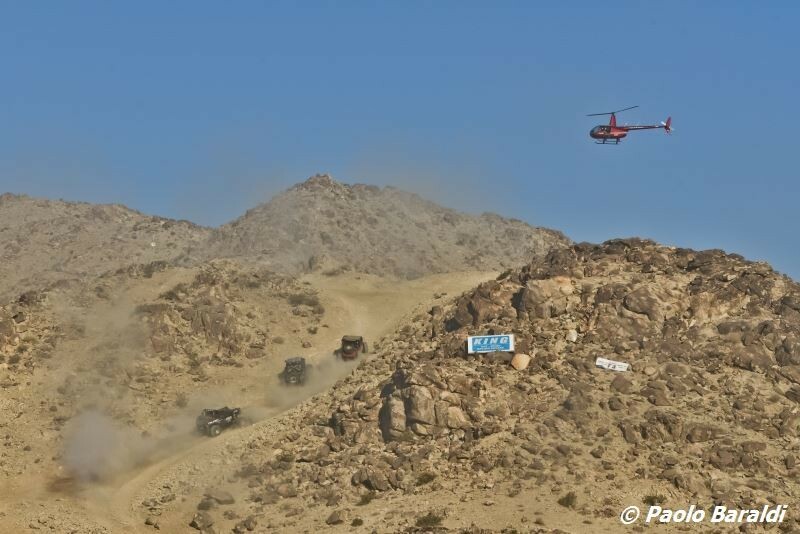 The actual competition will take place on Friday 8 February but our advice is to organize for the whole KOH Week; a week full of adrenaline and spectacle that certainly will not bore you. 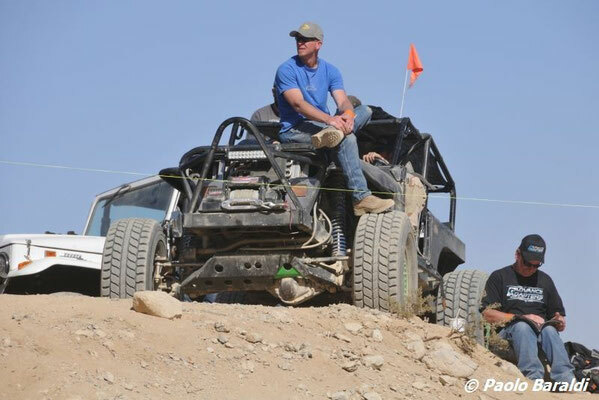 Qualifications, Everyman Challenge, TrOphy Truck and KOH are just some of the ingredients of this full immersion in off-road. 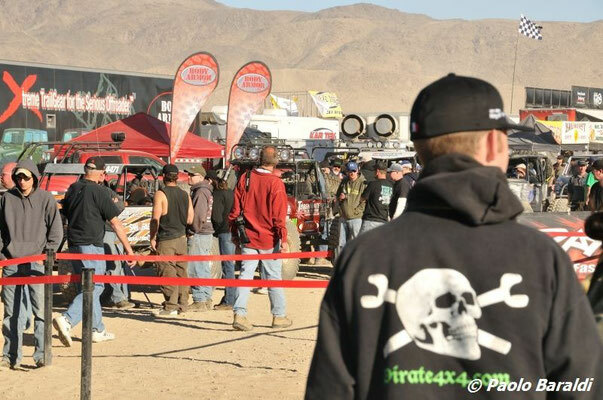 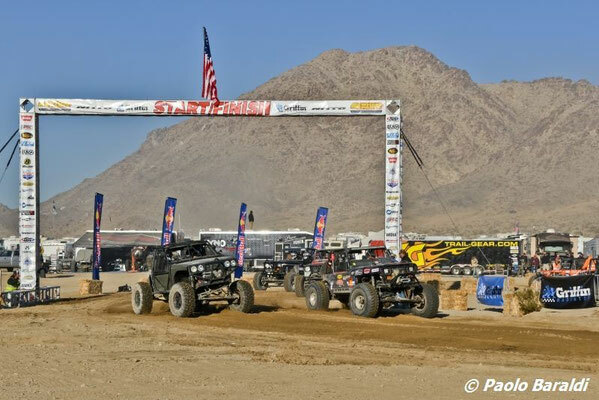 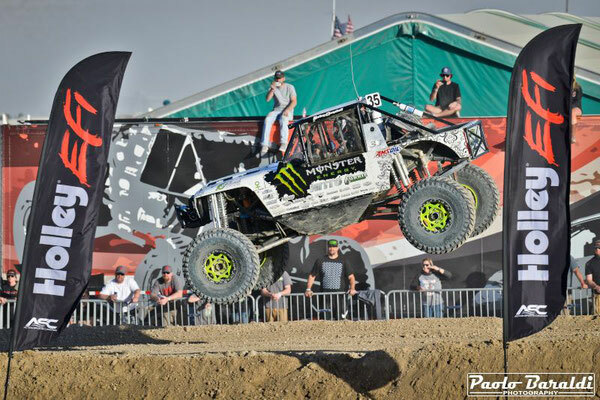 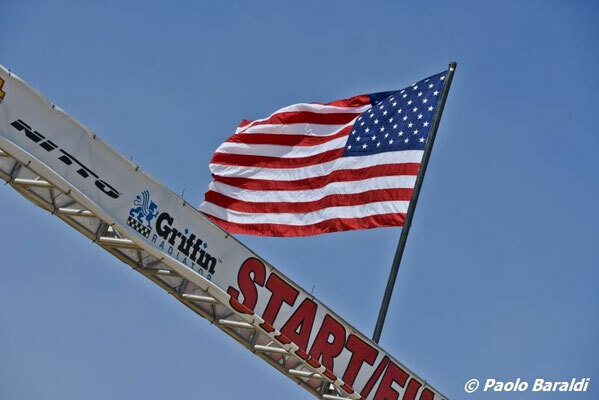 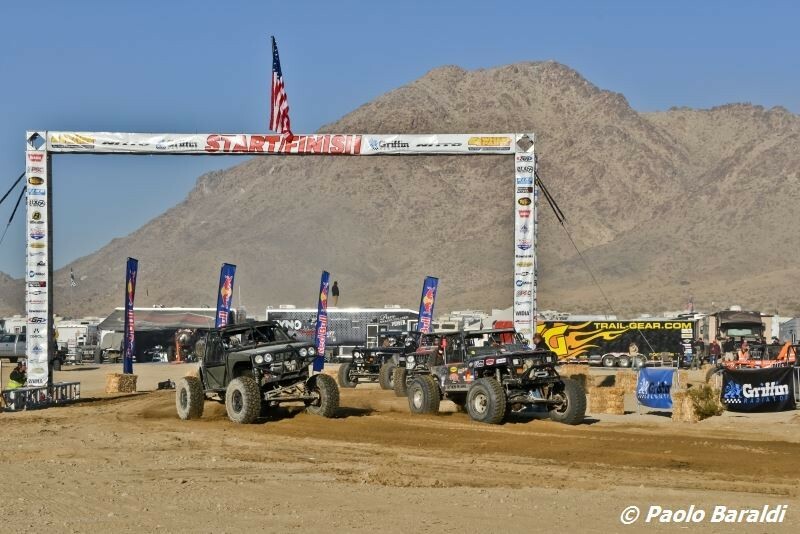 Walking through the streets of Hammertown is amazing; a crowd of fans and your team's favorites are the usual meetings in addition to the numerous stands and celebrities of the American offroad world. To face this journey you do not need special skills or high-level knowledge; few and right tips will help you in this adventure accessible to all. Once you arrive in Los Angeles you just have to rent a vehicle and get into the traffic to reach the Johnson Valley. 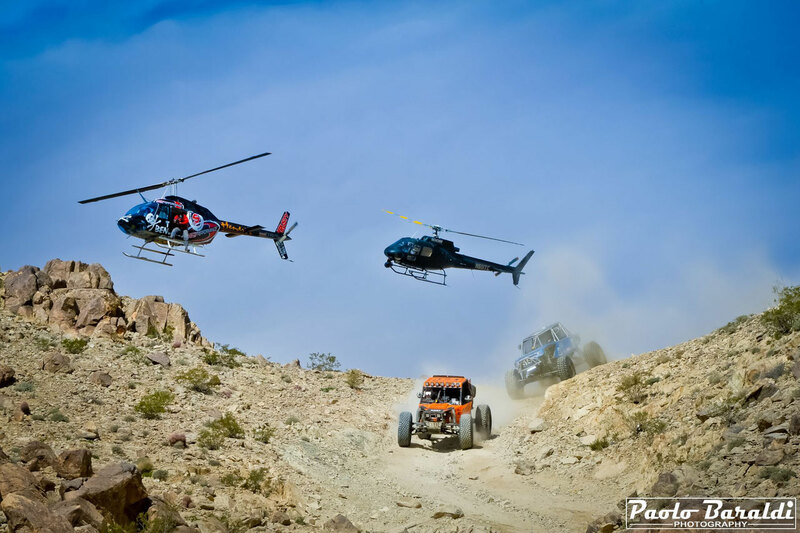 There are two possible ways. 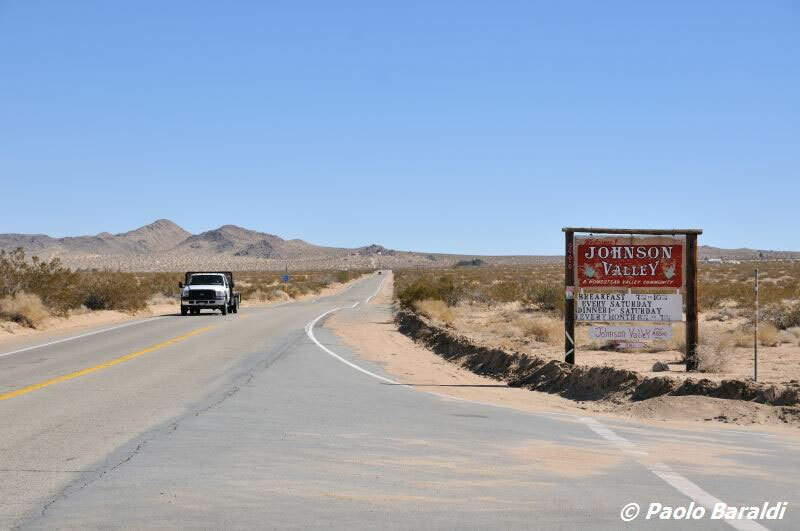 Following the I-10E and I-15N to near Victorville, turn right onto CA-18 and then continue on CA-247 until you meet the signs for Hammertown and the Johnson Valley signs. This route is about 196 km. Alternatively, you can only follow I-10 E and after passing Banning you will find signs for 29 Palms and Yucca Valley. 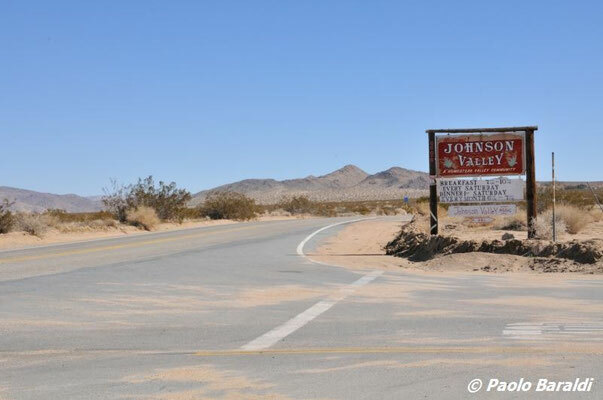 Crossing Yucca Valley you will arrive at a large traffic light intersection; turn left onto CA-247 and after about 30 minutes you have arrived at the Johnson Valley entrance. This route is about 234 km. A variant of the latter path is to start from the I-5S and then join the I-10E through the CA-60 and get to take the CA-247 to Yucca Valley. 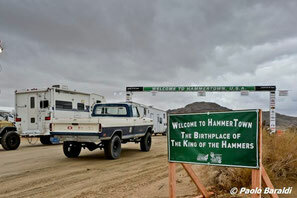 Arrived at the entrance of the OHV (off-highway vehicle) you just have to follow the dirt road, passable also by a normal car until you get to Hammertown. Entrance to the city and the surrounding area is subject to charges; you will find a "gate" where in addition to the payment of a contribution you will be given all the necessary information. 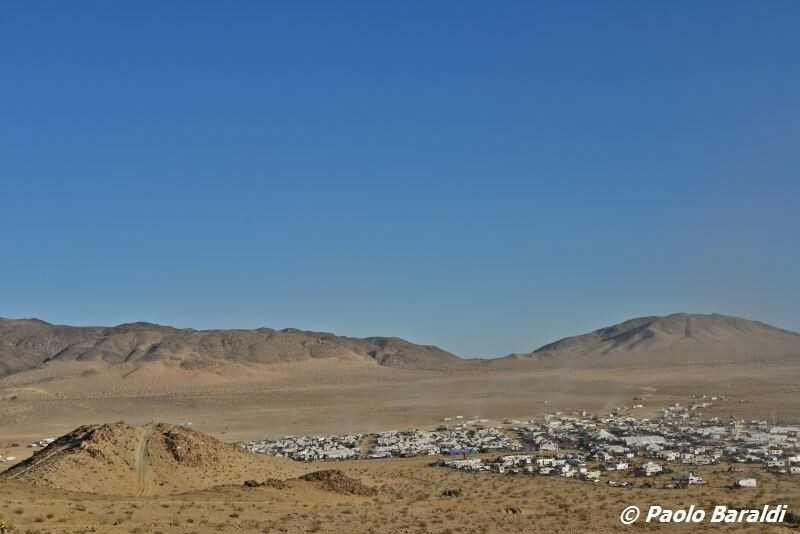 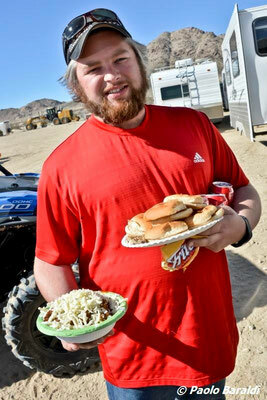 To stay during your period at the King of the Hammers you have two possibilities: camper or hotel / motel. 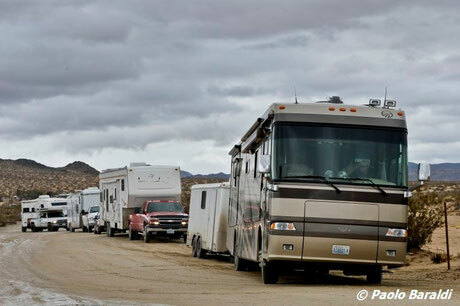 By renting a camper, you can stay in the Lake Bed in the camping area just a few hundred meters from Hammertown. If you prefer some more comfort, the town of Yucca Valley offers many solutions in hotel / motel; here you will also find restaurants, bars and supermarkets. 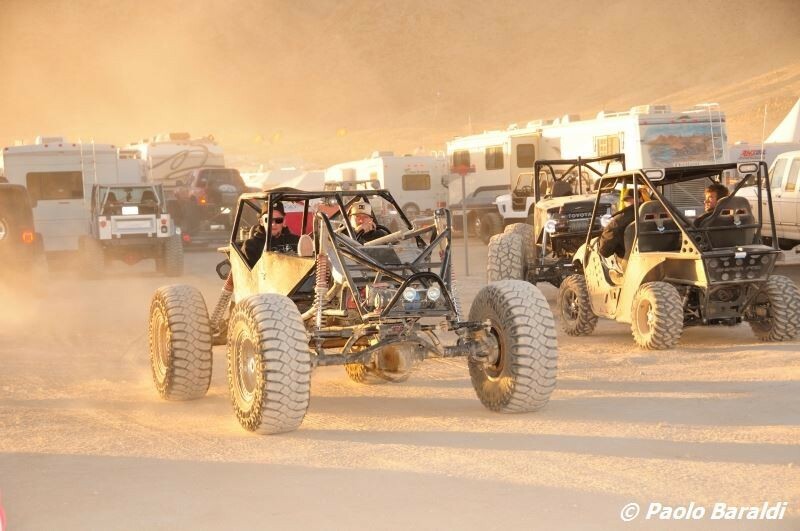 If you have opted for the hotel any car will allow you to arrive in the Lake Bed. 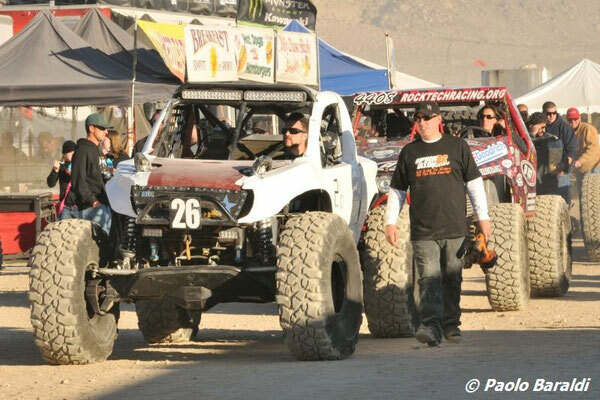 In this case you will then have to move on foot to try to follow the race at the nearest points. By consulting the internet it is possible to rent side by side in Hammertown for moving around in the desert. 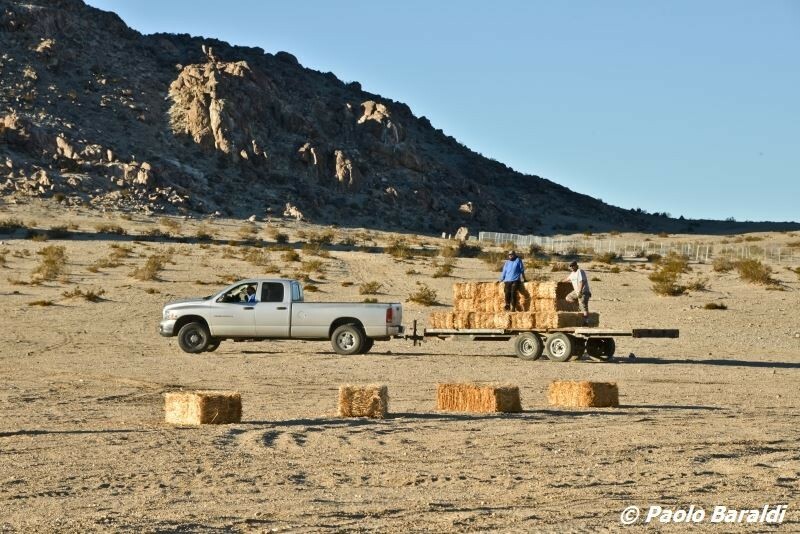 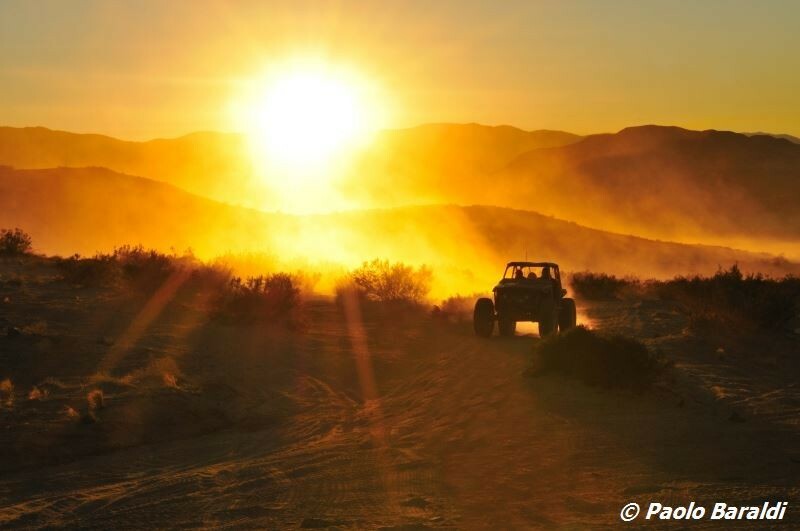 If you decide to rent a 4x4, the Johnson Valley will no longer have any secrets for you and you can move more freely to follow the race; pay attention, however, to areas that are forbidden to the public and to the police who also control you in the desert. 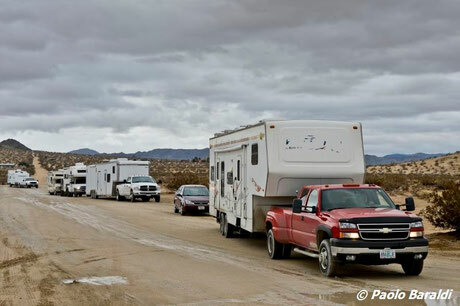 Our advice is to rent a 4x4 and a camper, if you are a group of friends, or rent a 4x4 and stay overnight in Yucca Valley. 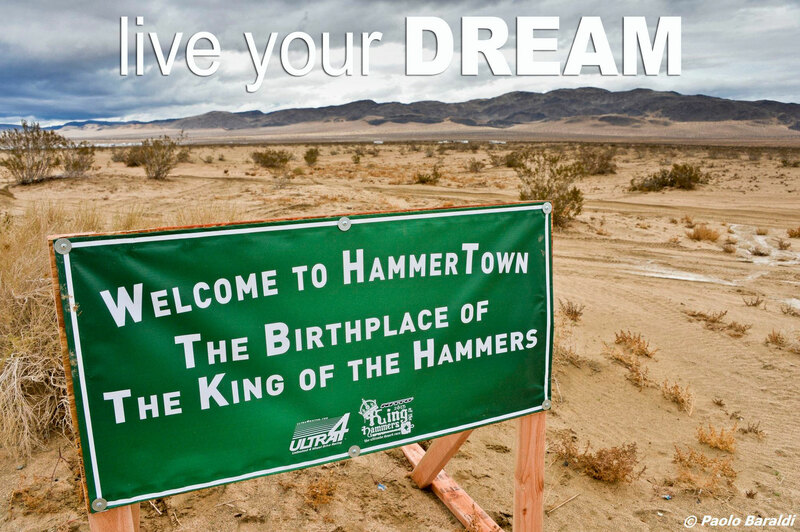 Hammertown is a city open to pedestrians and visitors. From here you can attend departures, arrivals and in a few steps you will be at the edge of the path that is cordoned off. 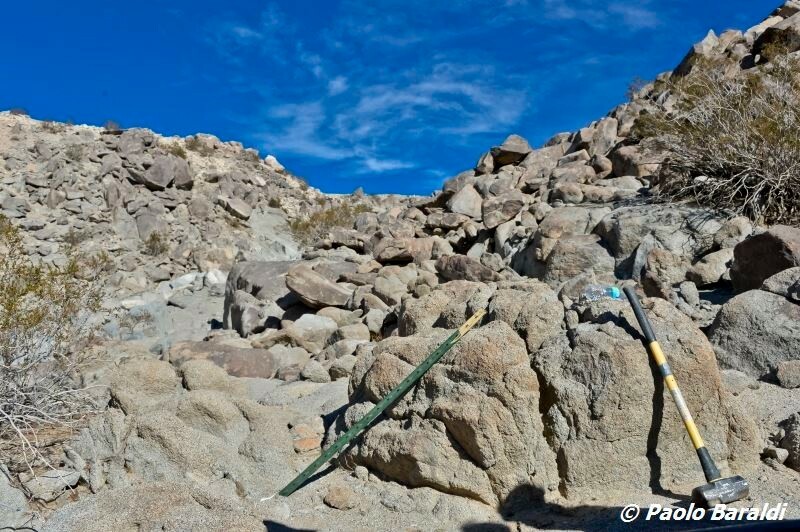 The Backdoor is not far away and can also be reached on foot. 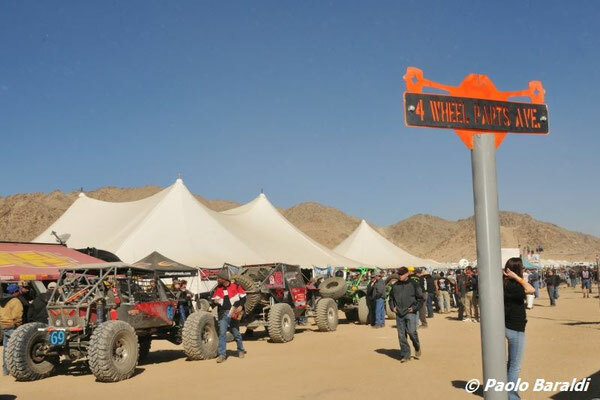 If you have an off-road vehicle, it will be easier to reach, in addition to the Backdoor, the Chocolate Thunder and other trails. 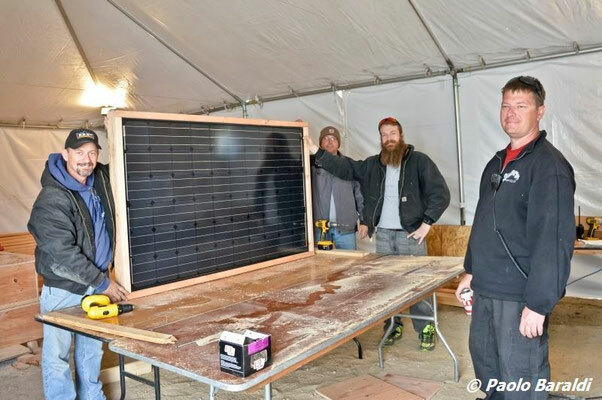 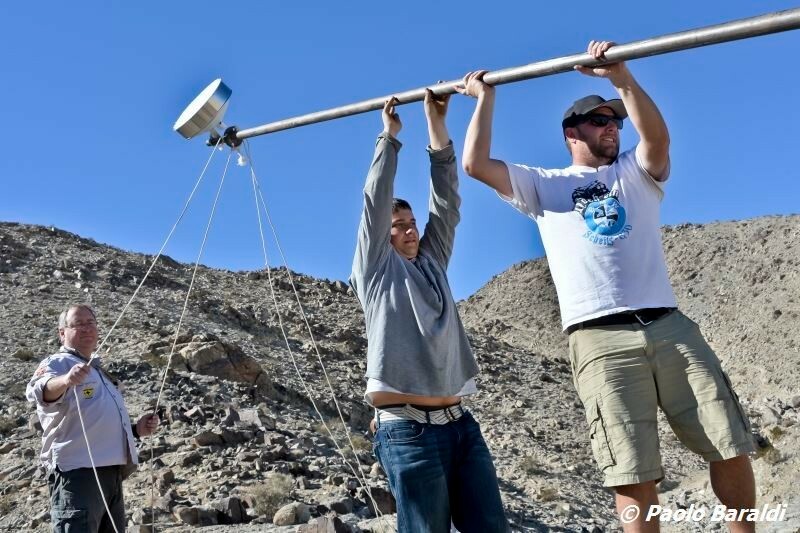 If you prefer to be an active part of the King of the Hammers, you can apply to become a volunteer. 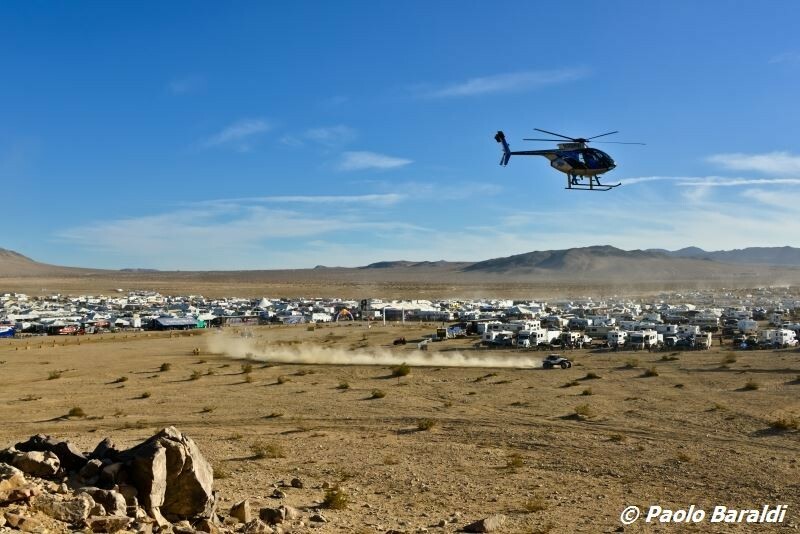 In this case you will be recovered at the airport in Los Angeles, San Diego or Palm Springs and pleasantly catapulted in organizing the race. You will have board and lodging offered by the organization. Of course, this solution requires your presence at least for 10/15 days, the commitment to work, first to set up Hammertown and the race routes and then to collaborate with the Marshall during the races. 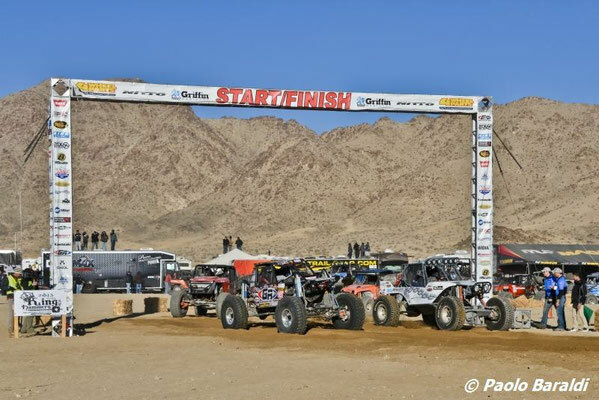 We believe this is an interesting opportunity that will allow you to experience the King of the Hammers like no other and to savor every moment and behind the scenes of the KOH. 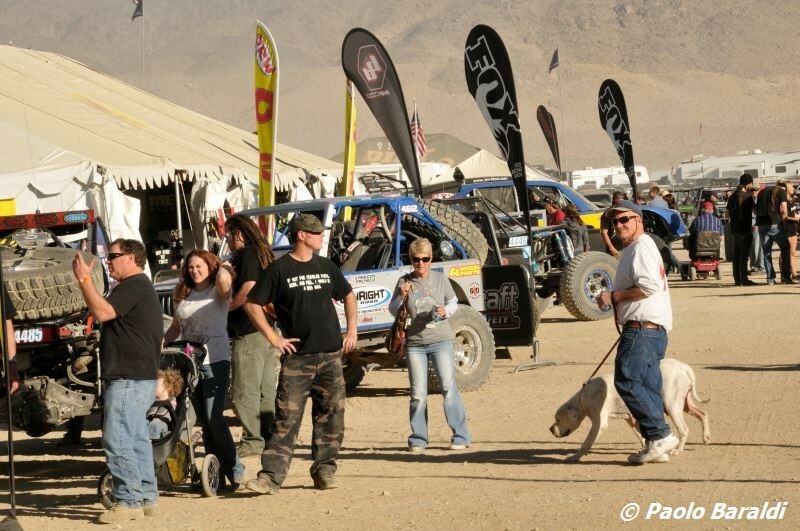 Ultra4 Europe can help you and advise you if you want to become a volunteer at KOH. As you have seen it is easy to organize this experience without special hooks. 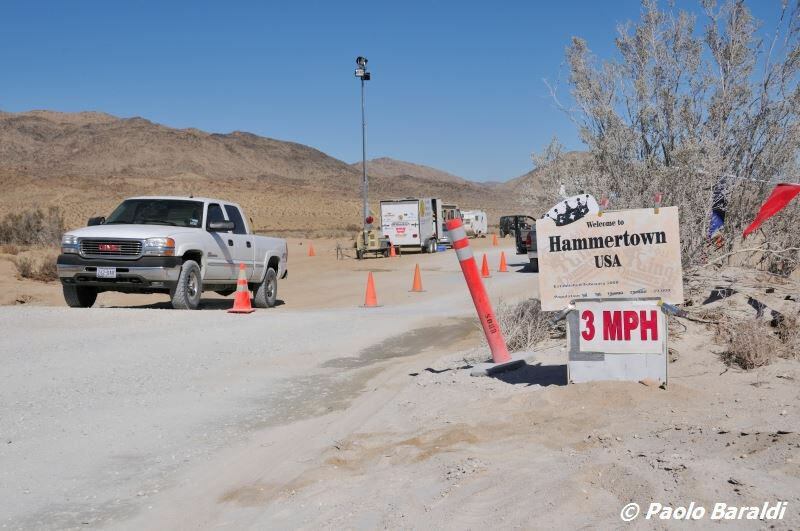 Inside Hammertown you will find maps with race tracks and all are very available to help you and give you all the informations. We advise you to follow the instructions of the Marshalls. 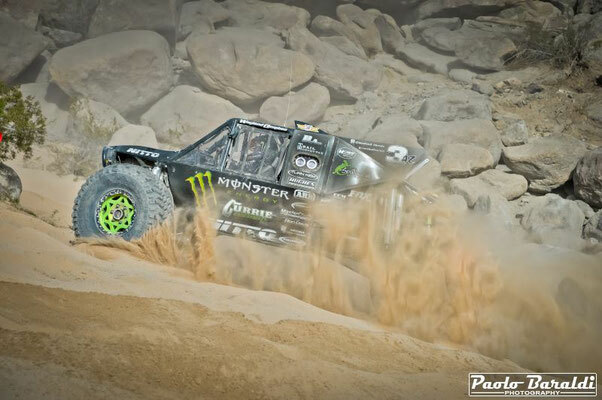 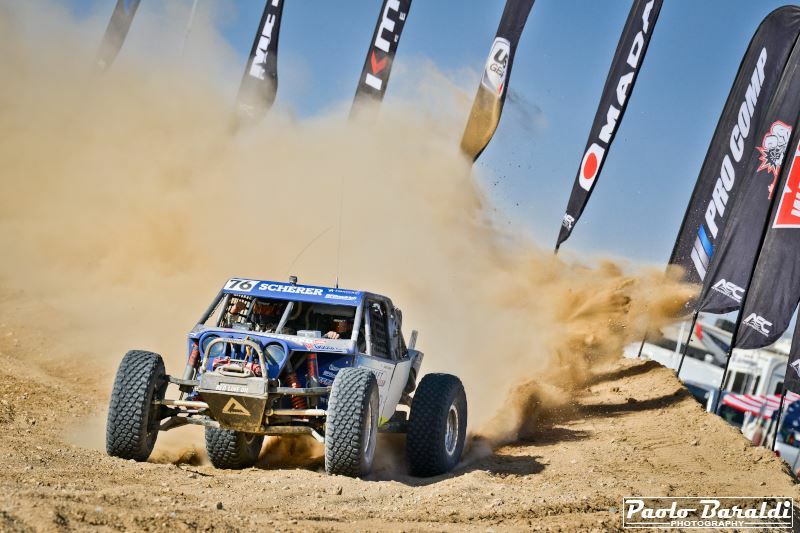 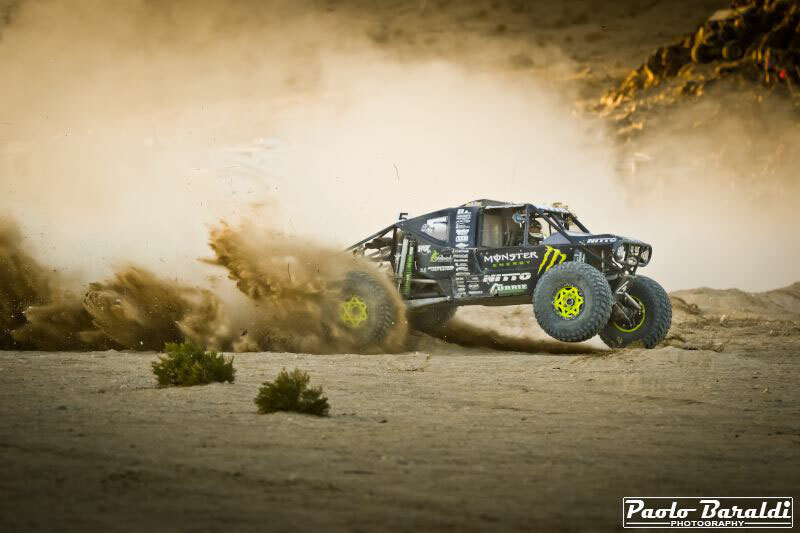 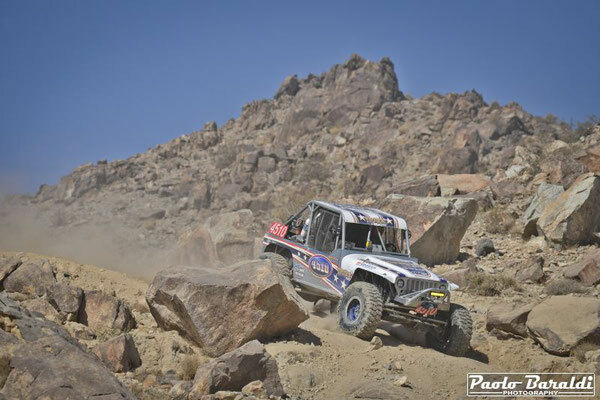 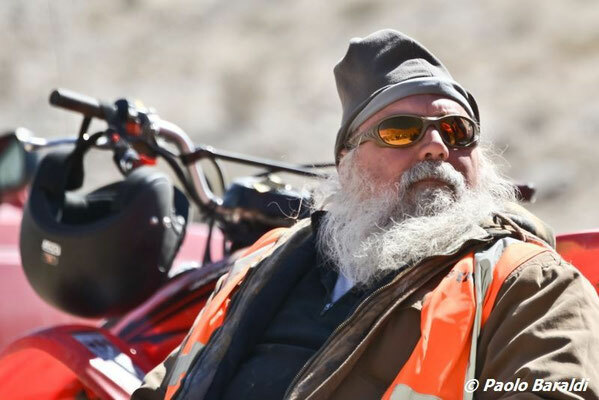 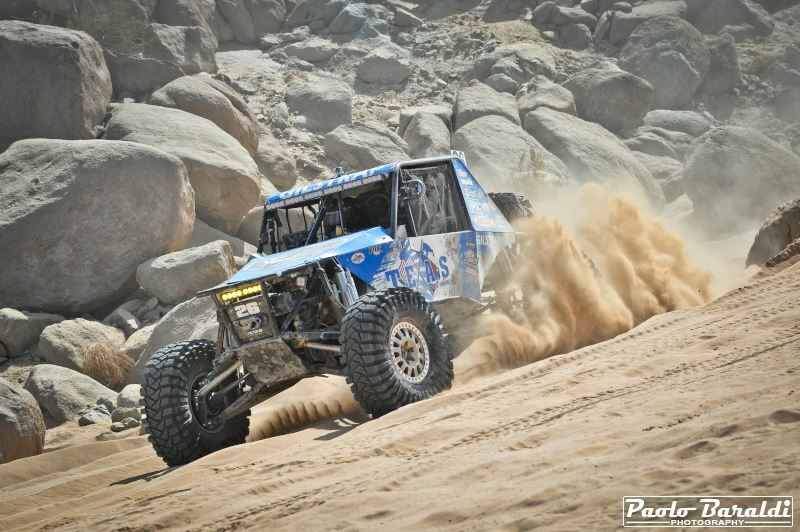 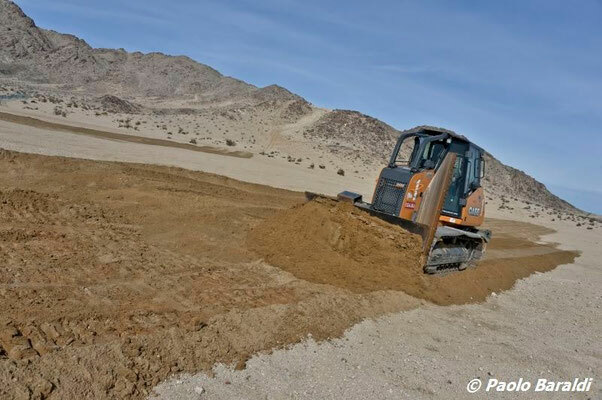 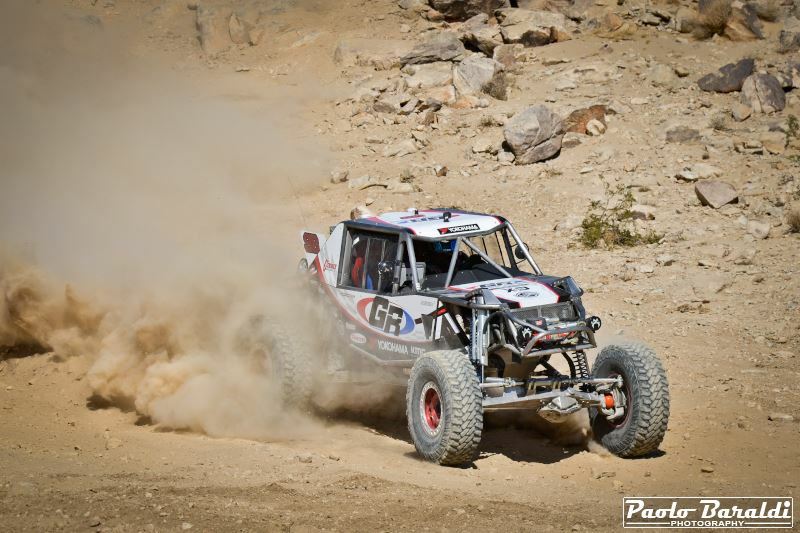 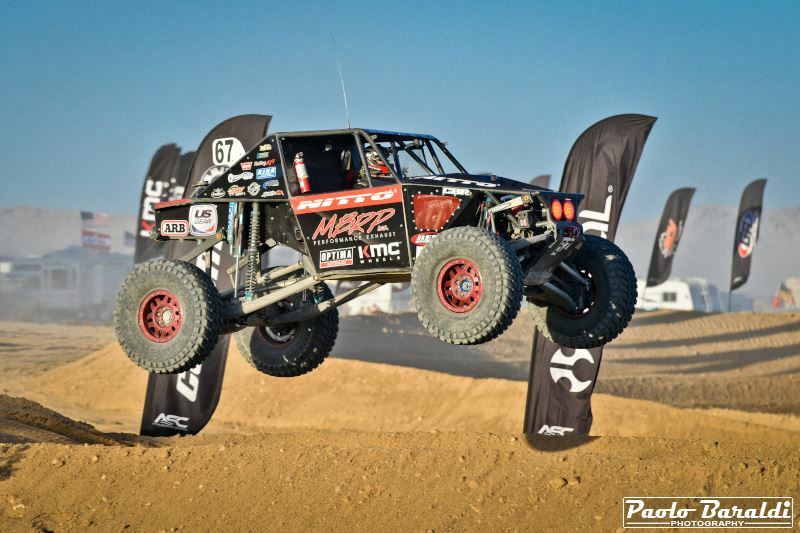 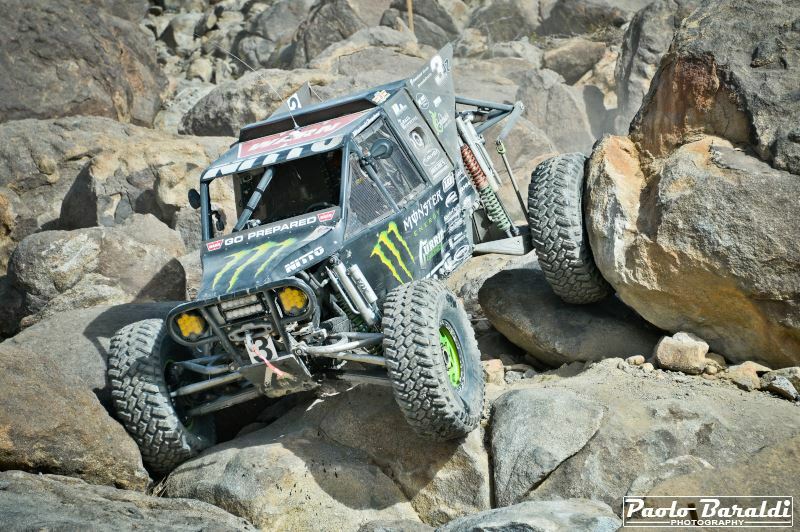 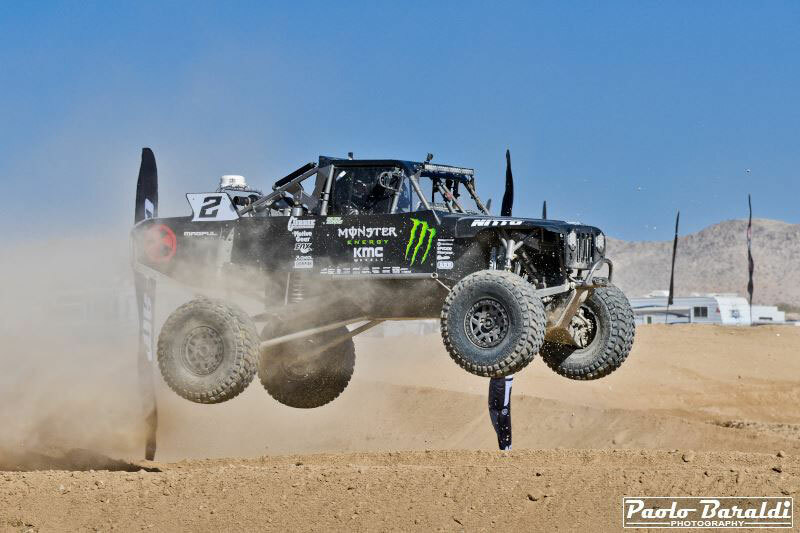 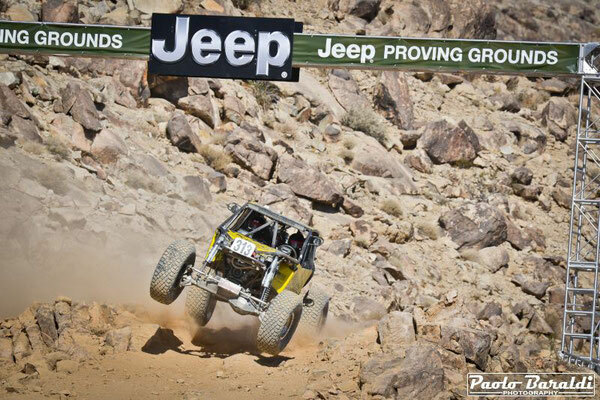 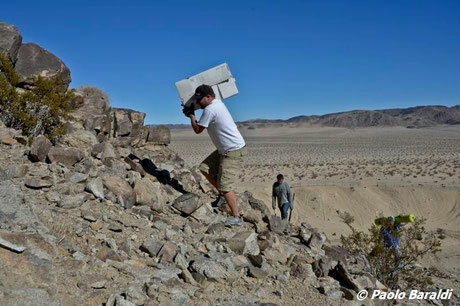 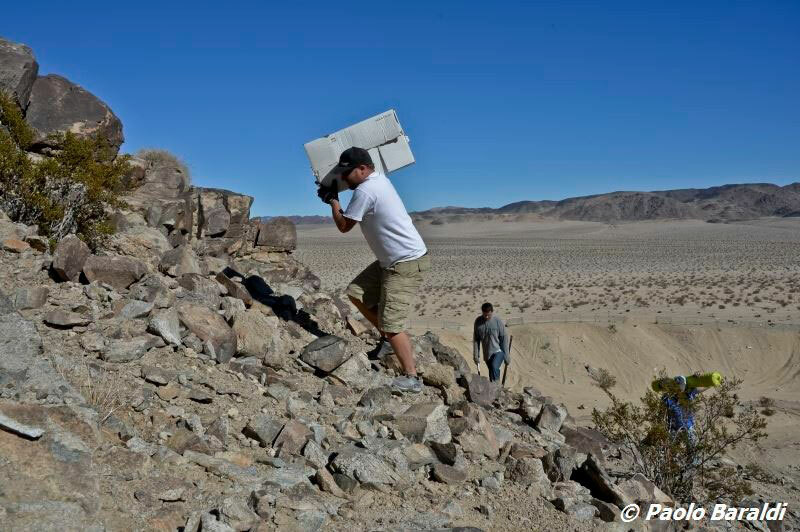 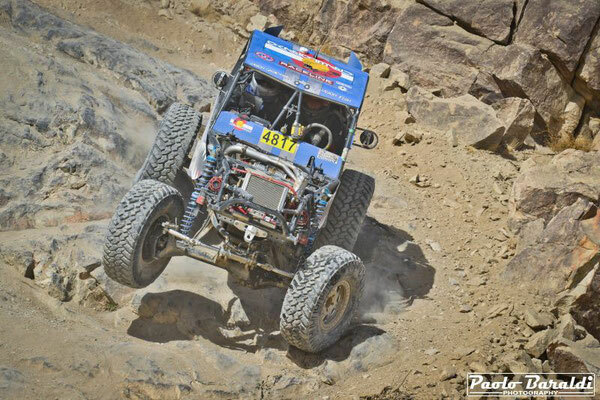 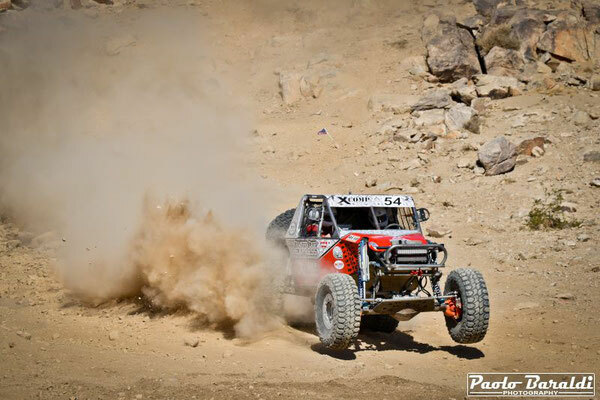 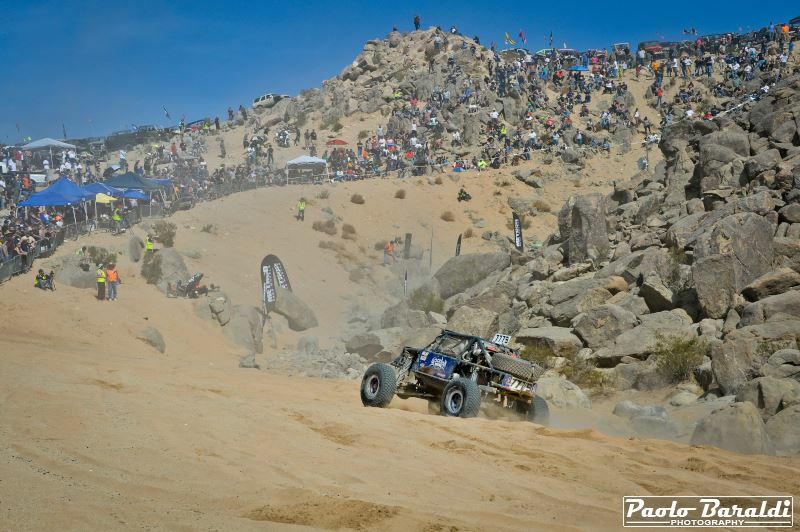 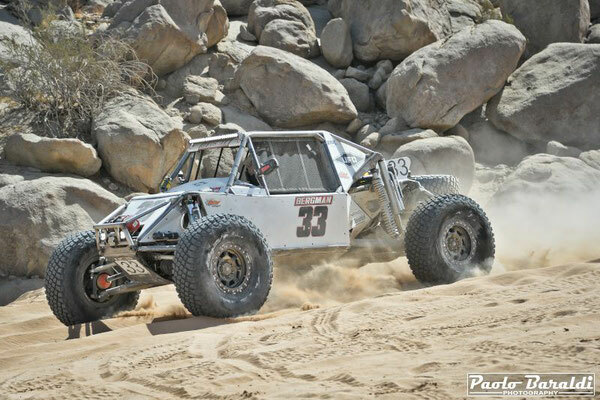 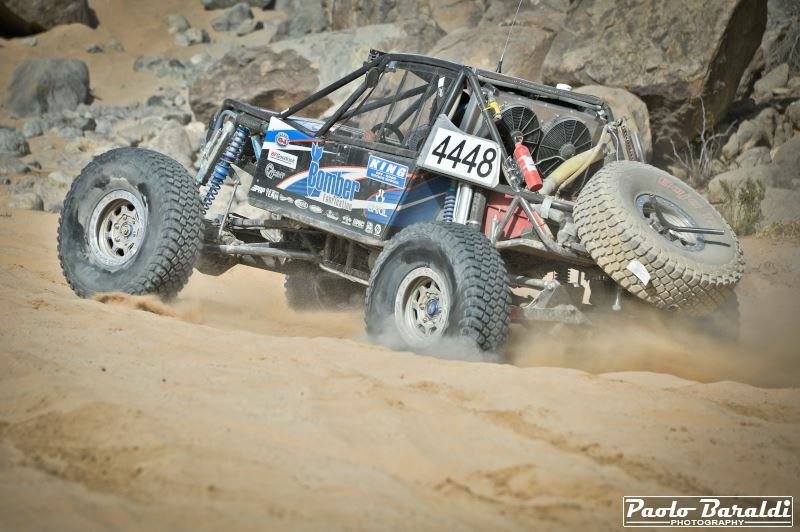 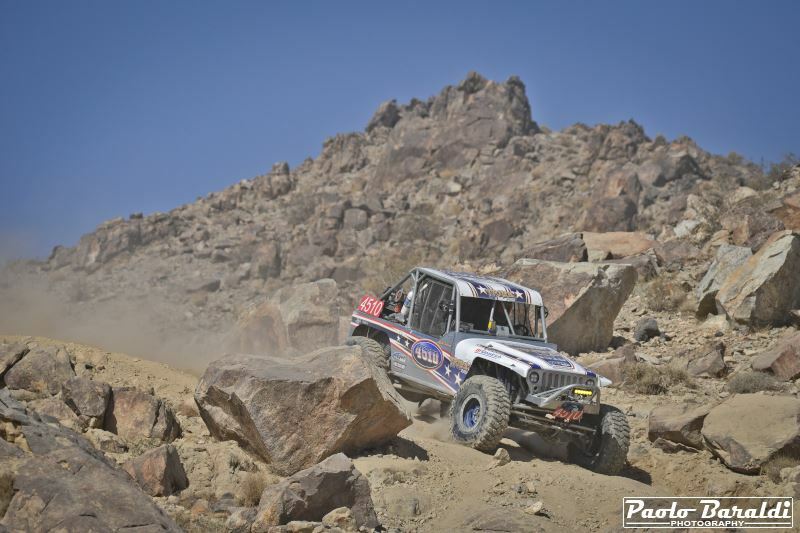 So we just have to wish you good King of the Hammers!